This study aims to further separate metallic and semiconducting single-walled carbon nanotube (SWCNTs) using an adapted vertical electrophoresis system. The morphological, and spectroscopic properties of the obtained SWCNTs samples were studied using scanning electron microscopy and Raman spectroscopy. Separation of metallic and semiconducting SWCNTs after the application of potential difference between the electrodes was the expected result of this study. The result of this research would be significant for future experiments that optimize and enhance the separation of metallic and semiconducting SWCNTs. M. Ilasin, R. Gapusan, A. Ontoria, A. Somintac, Y. Kuwahara, T. Saito, and I. J. Agulo. 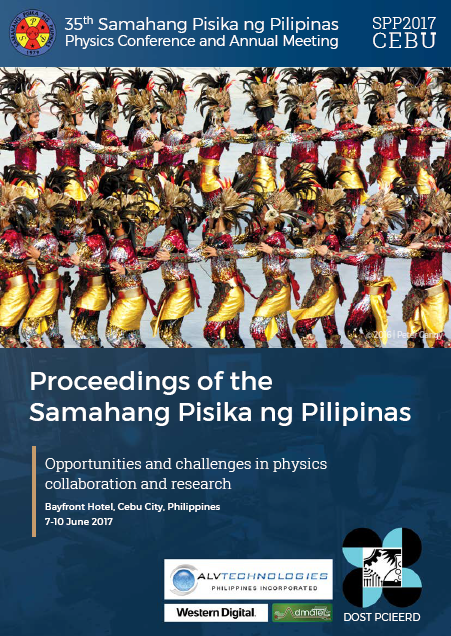 Raman spectral analysis of electrophoretically separated metallic and semiconducting carbon nanotubes, Proceedings of the Samahang Pisika ng Pilipinas 35, SPP-2017-1B-06 (2017). URL: https://paperview.spp-online.org/proceedings/article/view/180.